To support a growing market demand for higher rate transmission, Cobham have introduced the brand new Wide Band HF antenna for “On-The-Move” fast boats, land mobile vehicles or for fixed stations. 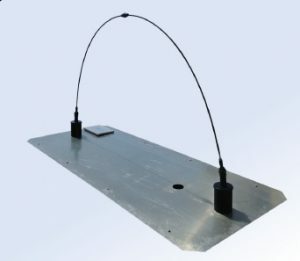 This new generation of Half-loop antenna will provide 24kHz bandwidth (Wide Band) bringing a significant improvement of data rate >120 kbits and quality of service. The data streams do not pass by satellite but instead rebound on the ionosphere.